Craig Coburn has been a mediator and arbitrator since 1985. Although his dispute resolution practice focuses primarily on complex construction industry disputes, Craig has successfully mediated disputes in a wide variety of cases, including business, contract, property damage and personal injury cases. Craig has mediated or arbitrated approximately 300 cases, including several multimillion dollar and multi-party disputes.an estimated 300 mediations. For the 2002 Winter Olympics in Salt Lake City, he was named as a panel arbitrator for the U.S. Olympic Committee – U.S. Ski Team and as project mediator for the design and construction of the Olympic Speed Skating Oval. For several years running, Craig has been recognized by his peers as AV Preeminent® (Martindale-Hubbell), a Mountain States Super Lawyer® (Law & Politics), and one of Utah’s Legal Elite® (Utah Business Magazine). 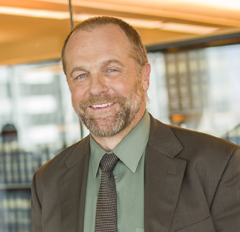 Craig has been a shareholder and director of the Salt Lake City law firm of Richards Brandt Miller Nelson since 1993, where he chairs the firm’s Dispute Resolution Services Group and the RBMN Charitable Foundation. He is a member of the American Bar Association’s Dispute Resolution and Tort, Insurance & Litigation Sections and Forum on the Construction Law, as well the Utah State Bar’s Construction Law and Dispute Resolution Sections. He received his Bachelor of Science (Civil Engineering) and Juris Doctorate degrees from the University of Utah in 1977 and 1980, respectively.